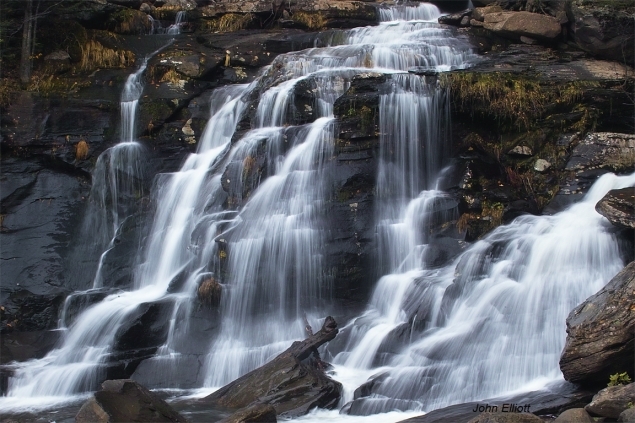 Bastion Falls are at the base of the hiking path leading to Kaaterskill Falls. They are easily seen from the road passing by the trail head. This photo was taken in Novermber after most of the leaves had fallen. One can spend many moments caught up in the patterns formed by the flowing waters.